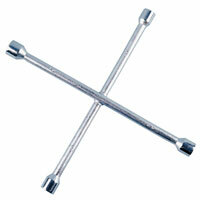 Remove stubborn wheel nuts with ease by investing in a new wheel wrench from Euro Car Parts. Below you’ll find only the best products from reputable brands - scroll down to explore the range. 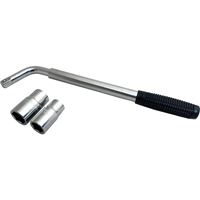 Wheel wrenches are designed to fit a multitude of fittings, making them a universal option for owners with more than one vehicle. 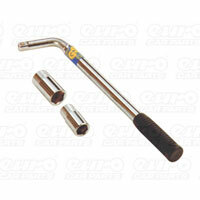 This also makes them a popular choice for professional garages too, enabling them to have one tool to do a variety of tasks. 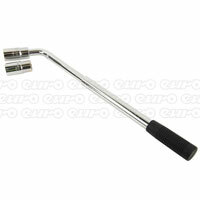 As well as traditional X-shaped wrenches, here at Euro Car parts we also stock a choice of straight-bar wrenches too - with some functioning as a ratchet to make light work of longer threaded bolts. Although some vehicles are sold with wheel wrenches as standard, if yours is missing it pays to buy a replacement to keep in your boot at all times. This will come in extra handy should you need to fit your spare wheel in the event of a puncture. Free UK delivery is available across the range and our team of trained experts are on hand to answer any queries you have about your order. Call them today on 0203 788 7842. Lines are open Mon-Fri 09:00-20:00, and Saturdays until 17:00 - we look forward to hearing from you.